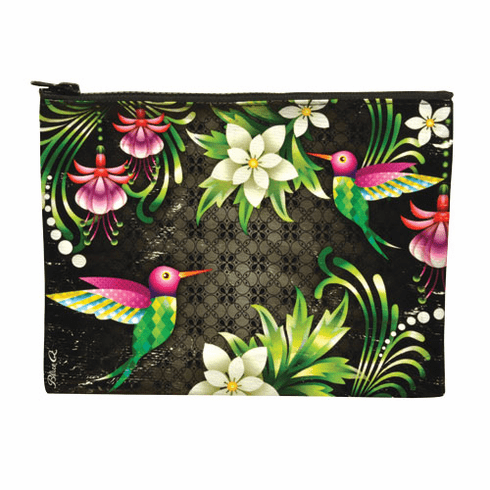 Stunning matching pouch to go perfectly with the ever growing collection of Catalina Estrada eye candy. 9.5"w x 7.25"h. 95% recycled post consumer material has a crushed, wrinkled look when sewn. It's all normal for the high recycled content.